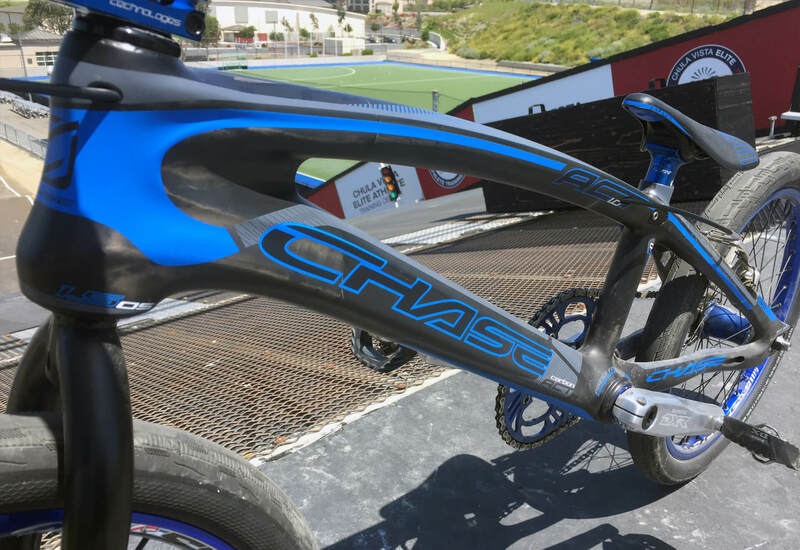 Connor Fields … 2016 Olympic Gold medalist … and if that wasn’t enough now he’s got a brand spanking new Chase ACT 1.0 Carbon! Ultimately that’s all we really needed to know … but curiosity got the better of us so we chased Connor down and asked a few questions … now we’re a little jealous! 15: Is this your first carbon frame? 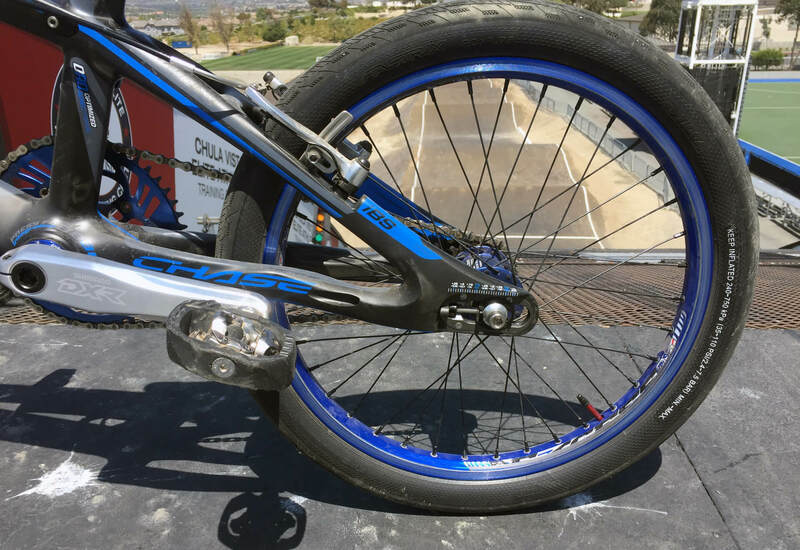 Does it feel different to ride when compared to the RSP 3.0 that you’ve been so successful on? Connor: Yes, this is my first carbon frame. I’ve ridden a Chase for the last 7 years, from the RSP 1.0 until the 3.0 and now the Carbon. The geometry is the exact same so it is a great test to see the difference in feeling of the two materials. After I rode for a bit and got used to it I loved it. It’s much more responsive and it feels super strong and stiff. I feel like the more I ride it the more comfortable I will get and the better it will feel! 15: Did you have much input to the design and development of the ACT 1.0 Carbon project? Have you and Joris secretly been riding ACT prototypes behind closed doors? Connor: Romain Maheiu was the test rider, he rode the carbon all of last year and had no issues with it. On occasion we gave them some input, but with Christophe Leveque designing it, he knows what he’s doing and he wouldn’t ever have us ride something he wouldn’t have ridden himself. Note: For those new to the sport that may not know, Christophe won multiple UCI world titles and championships around the world. Connor: I still get really excited when I get a new bike! There is just something about the feeling of a brand new bike that never gets old! I don’t get any say in the colors, it’s all picked before it gets sent to myself or Joris, but I like blue and black a lot. I think with the green on my helmet it really pops and looks great. 15: So where will your first race be on the new set up? 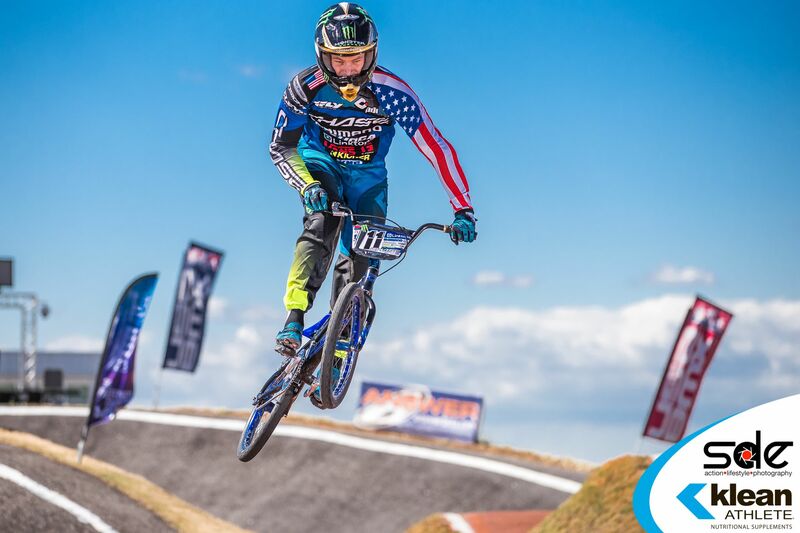 Connor: I’ll race it in Austin, TX in a couple weeks (USA BMX Loan Star Nationals, 21st-23rd April). 15: We’re sure you’re tired of answering Olympic questions so we’ve only got one, well two that we haven’t heard you talk about yet …has the medal changed your life in any way? Was it hard to re-motivate yourself for a new season after the high of Rio? Connor: For me I knew that being from the U.S.A. winning a medal wasn’t going to make me famous or make me a household name. Hard to do that when your country wins over 100 medals each games … you have to be like Phelps or Simone Biles and win 5 to get all the media attention. This time for me it was about proving to myself that I could do it. So within myself the experience of injuring myself, then coming back without much time and working so hard and making it happen against all odds … it really gave me a lot of satisfaction and is something I will remember for the rest of my life. I don’t think I will truly know the full effects of winning the medal until years down the road. The Olympic gold medal transcends sport, it is something that everyone in the world knows about and respects. I think it will be really helpful in life after sport as well as the rest of my career. 15: So after you won the little race down in Rio last year we guess the only big one to elude you so far has been the UCI rainbow stripes … is Rock Hill in July scrawled on your calendar in thick marker? Connor: Of course! I am so excited to have the opportunity to compete at a home worlds! After the heartbreak of 2014 and being so close, I have always wanted to see my name on a rainbow jersey. I will do everything I can to show up prepared on race day and try to bring it home for the home crowd. 15: Will we see you in Europe this year on the ACT 1.0? The Papendal and Zolder World Cups? Connor: Before the year started I wasn’t planning on doing the world cups, but when they smartly decided to put them back to back weekends and made them 2 day events I changed my mind. It is a long way to go for one race, but now that there are 4 races in 10 days it would be silly not to! It only took 10 years, but they finally are making the schedule friendly for all the people traveling around the globe and the people paying for it. I always enjoy world cups, and I look forward to racing in Europe the fans there are awesome. 15: We’ve been looking at your impressive ‘Time Trials Wins’ video … are you going to miss time trails now that the UCI have sidelined them? Connor: I will, but I understand why. For the general public they aren’t super exciting except for maybe at the World Championships. I wish they would have kept them as a World championship event. I am glad we will have 2 opportunities to race now though! 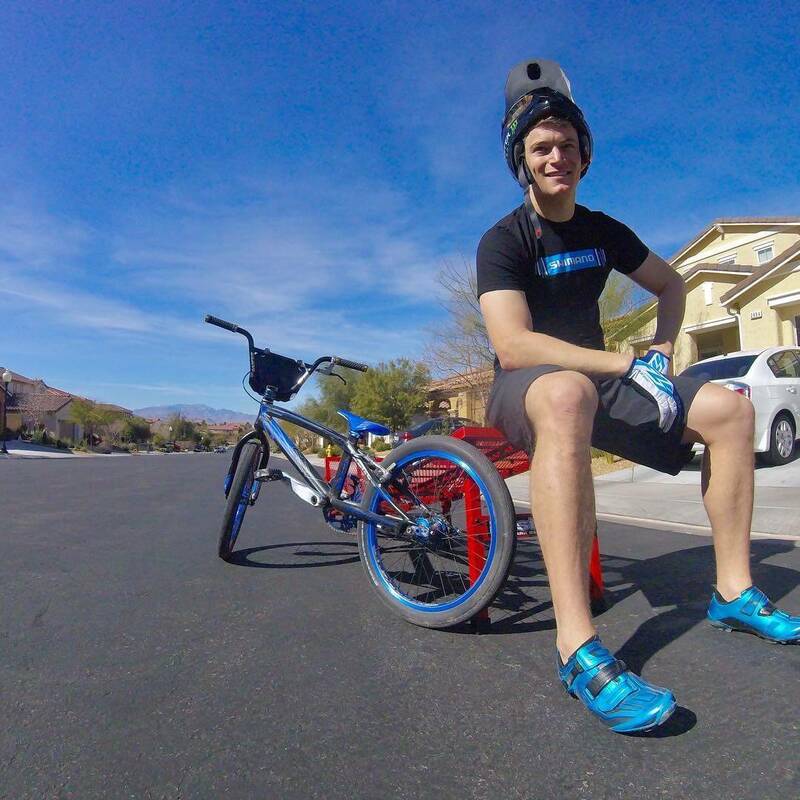 A lot of people would always say “time trials aren’t real BMX” and the truth was they weren’t. They were a completely different event and different skills were needed. As someone who loves BMX I absolutely enjoy watching the best riders in the world go as fast as they possibly can and really play with the limits. Seat Clamp: None! It’s built in! * Word on the street is that we should expect some new ‘wider chromoly forks’ to match the frame soon and Elevn Carbon forks some time later. 15: We know you’re a student at UNLV and have been wondering how you fit it all in and stay at the top of a professional sport? 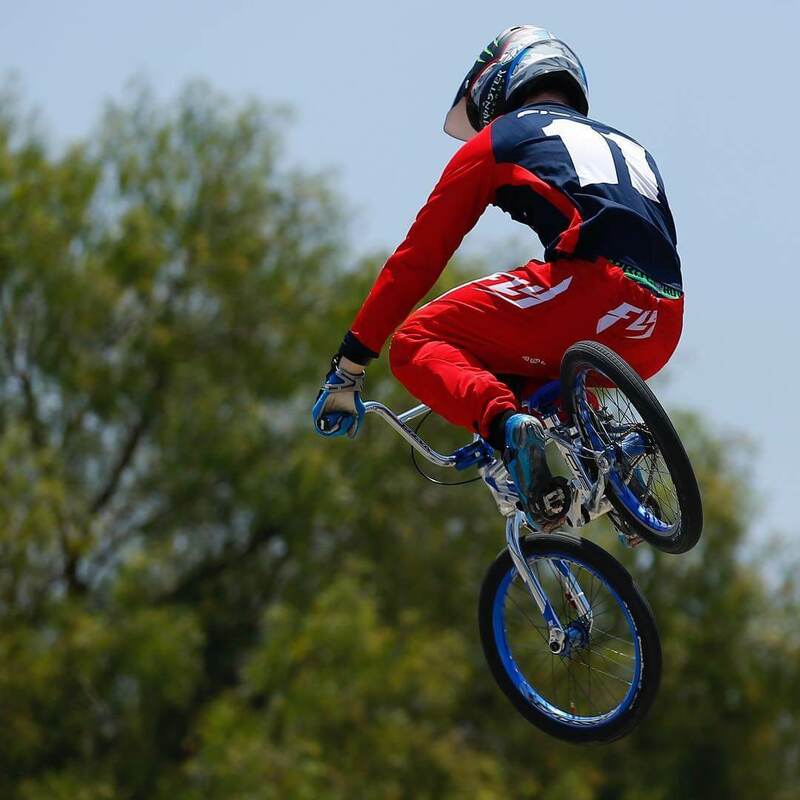 For kids out there dreaming of emulating you, would you encourage them to plan beyond their BMX career too? Connor: For sure. 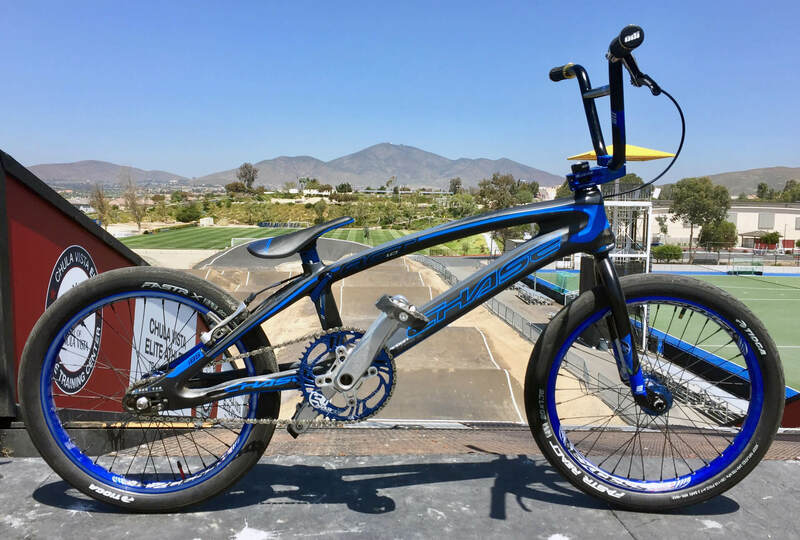 For me I always knew that BMX would one day come to an end. You can’t be a professional forever. I also know that you can’t train all day every day so when I can I take some classes and I keep the ball rolling towards a diploma. It also helps me to keep things in perspective and remind me that there is more to life than BMX. I am halfway finished with a degree in business and I look forward to putting that to work down the road. Connor: I would love to come to Ireland! My parents went after the London Olympics and they had great things to say about it. Trent and I would love to come out and race there one day, lets try to make it happen! Nice article and great info on Connor and his new bike.